Make Breakfast Easy and Healthy with Earth's Best Oatmeal! There are numerous benefits of eating oatmeal for breakfast.. Not only is oatmeal nutritious and delicious for children and adults of all ages, oatmeal may lower the risk of cholesterol, blood pressure and can even reduce the risk for type 2 diabetes. 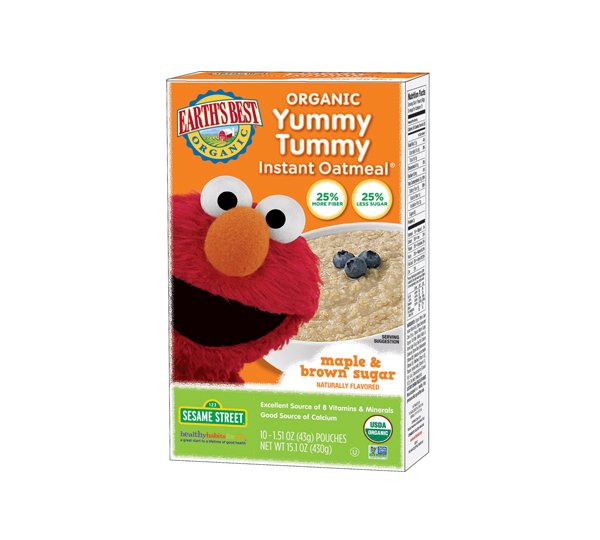 And NOW- Earth’s Best Organic® is happy to announce that they have reformulated their Yummy Tummy Oatmeal with 25% more fiber and 25% less sugar than before! Keeping in mind that food rich in fiber helps to aid healthy digestion in your little ones, Earth’s Best offers the newly formulated oatmeal in the two same delicious flavors, Apple Cinnamon and Maple & Brown Sugar. 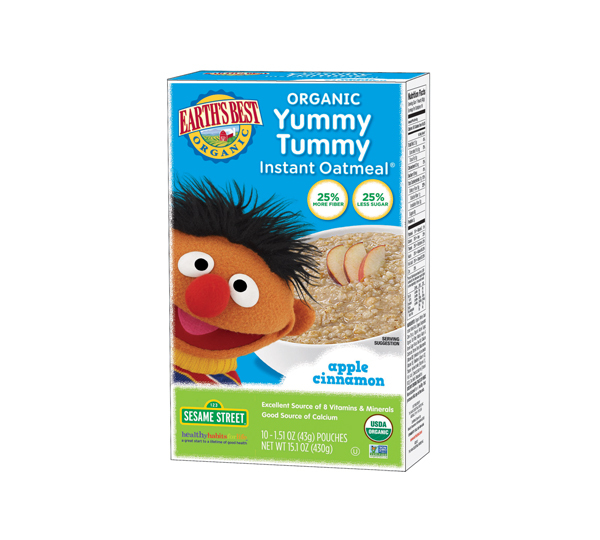 Earth’s Best Sesame Street Oatmeal is non-GMO verified and is an excellent source of Iron and Zinc!